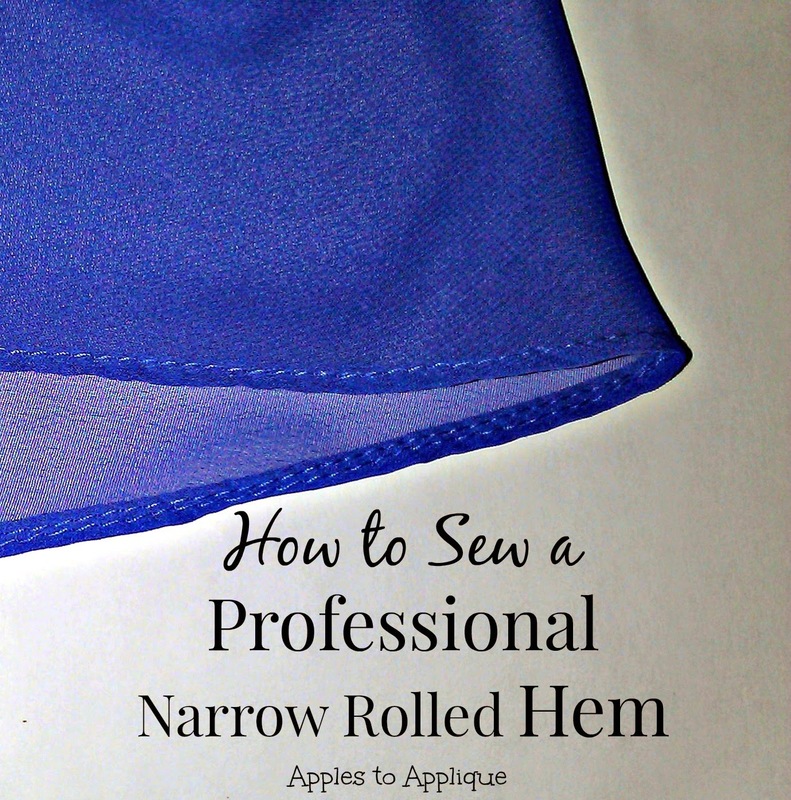 Have you ever wanted to make pretty, professional-looking hems like the one shown above? Have you ever despaired when trying to create a rolled hem on a delicate, hard-to-work-with fabric, or on a curved edge? I know I have. I used to spend hours pressing hems and manipulating fabric, only to be less-than-pleased with the results. Then I learned this technique, and now I have no problems with hems on all types of fabrics, and I do not shy away from curved edges. My hems look more professional with a lot less headache. (Yay!) This is a technique that I learned when I did alterations in the bridal industry. 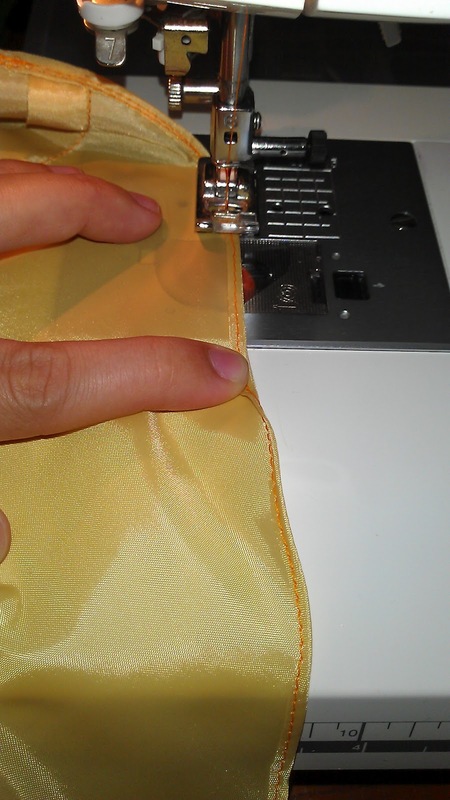 Start by marking your hem about 1/8-1/4" longer than you want the finished hem to be. You will fold along this line. 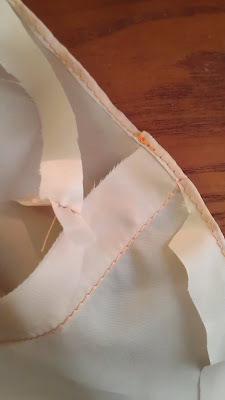 Leave yourself at least 1/2" excess below your fold line; if possible, leave a couple of inches, and it will be a little easier to work with when you get to the cutting stage. 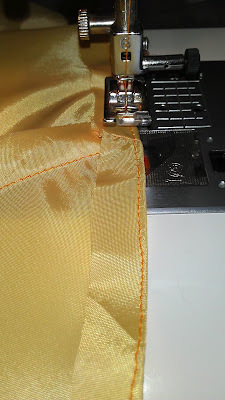 You can pin it if you want to, but if you're working on a curved edge, sometimes the pins will cause more of a headache than they are worth, because it's hard to pin the fabric evenly all the way around without any weird gaps or "bubbles" in it. I usually just fold over the part I'm working on and about 1-2" in front of the presser foot and hold it with my fingers. Stitch close to the folded edge. Again, just worry about the part about 1-2 inches in front of the presser foot. 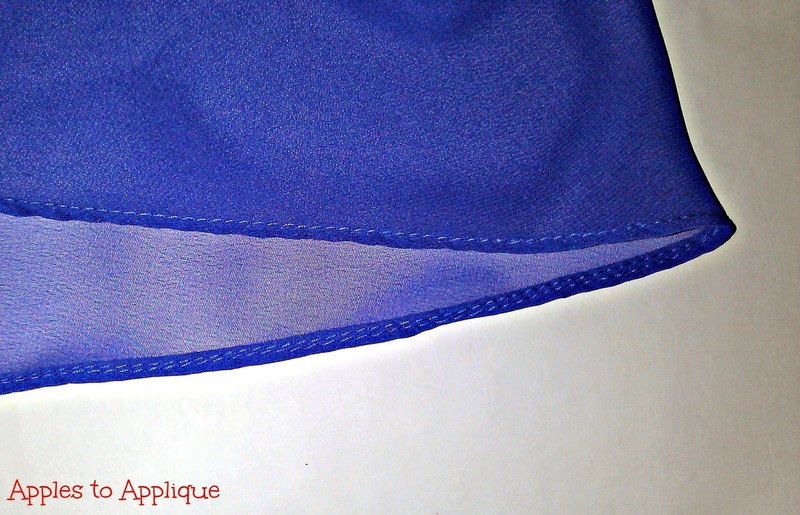 Especially if you are working on a curved edge, it may seem like the fabric is not going to cooperate. Trust me, if you fold over and stitch just that little bit at a time, it takes next to no effort to get the fabric to do what you want. Once you've done this a few times, it becomes second nature and you can do this about as quickly as you could any other seam. After stitching all the way around the folded edge, cut the raw edge close to the stitching. Cut closely like this all the way around. Now you're ready to complete the hem. 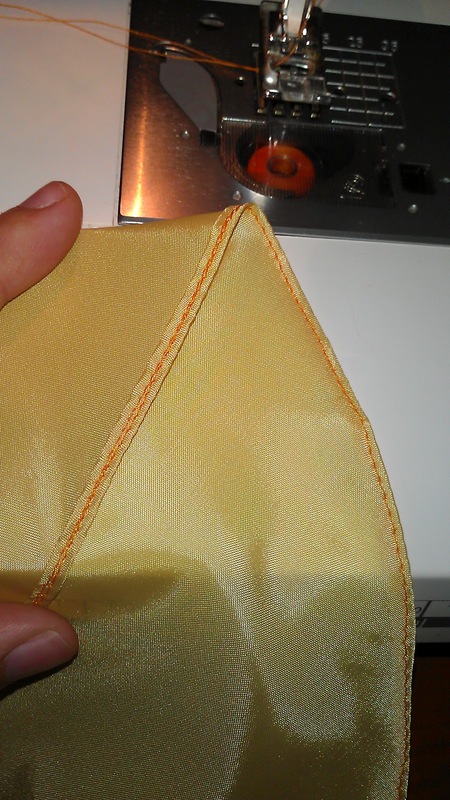 Simply fold the edge over, encasing the raw edge, and stitch on top of your first row of stitching. You'll find that the fabric typically wants to follow the guide you set for it in your first stitching. 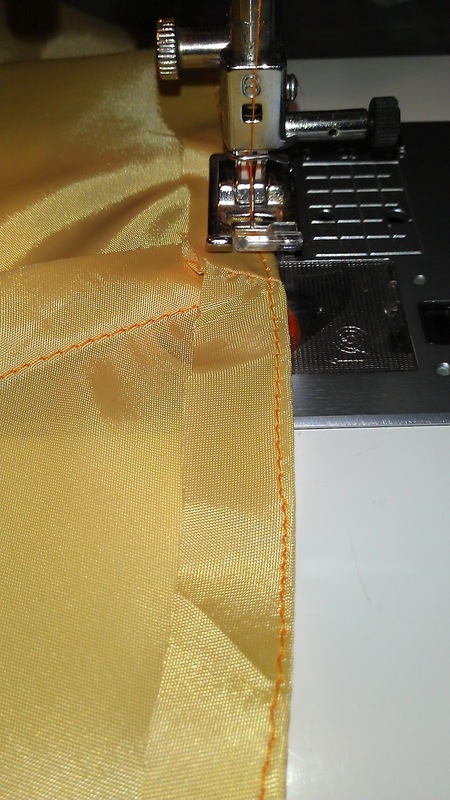 Yes, you end up sewing the length of your hem twice, but these professional results are worth it. Just look at the right and wrong sides of my hem in the following pictures--any seamstress would be proud of a delicate hem like that. So there you have it--a narrow rolled hem without fighting your fabric! I'm glad you found it helpful! !